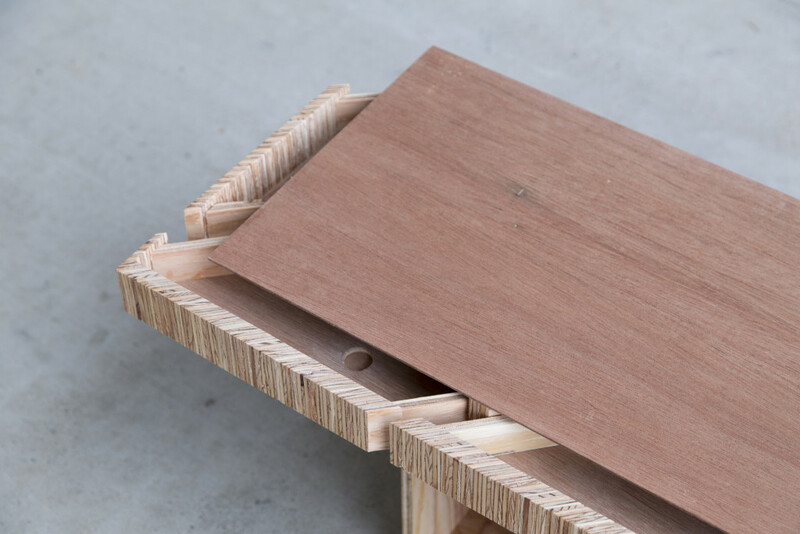 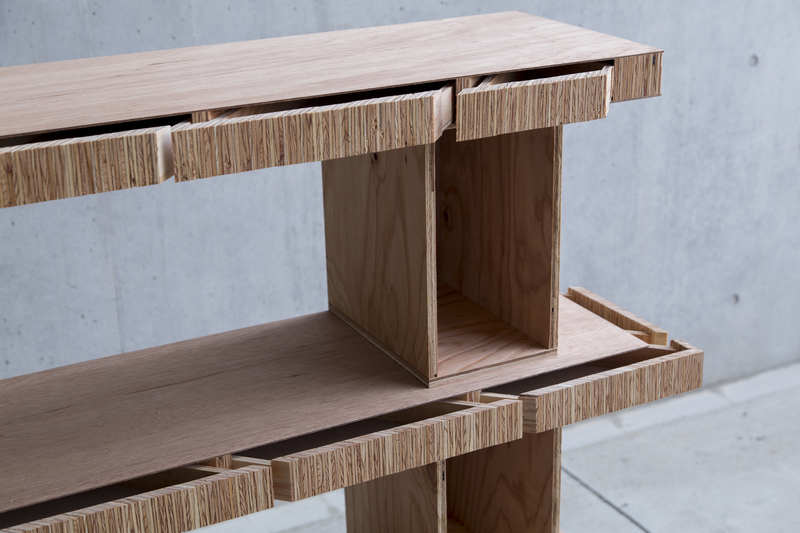 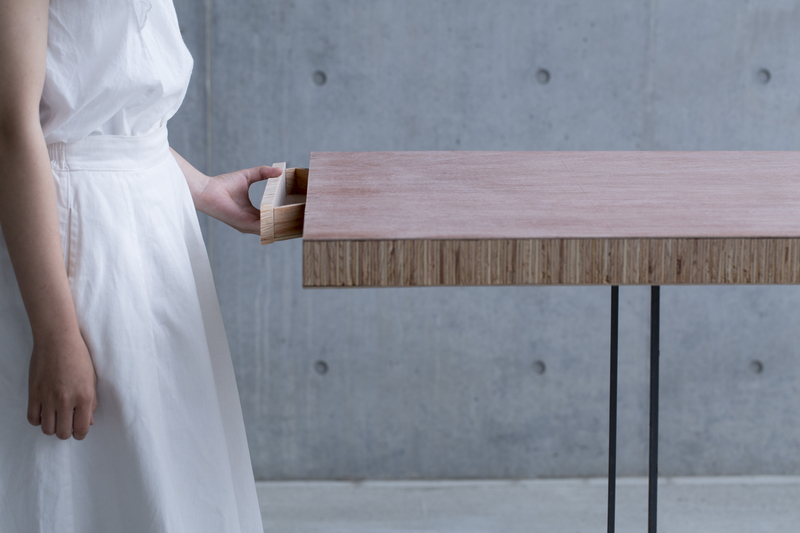 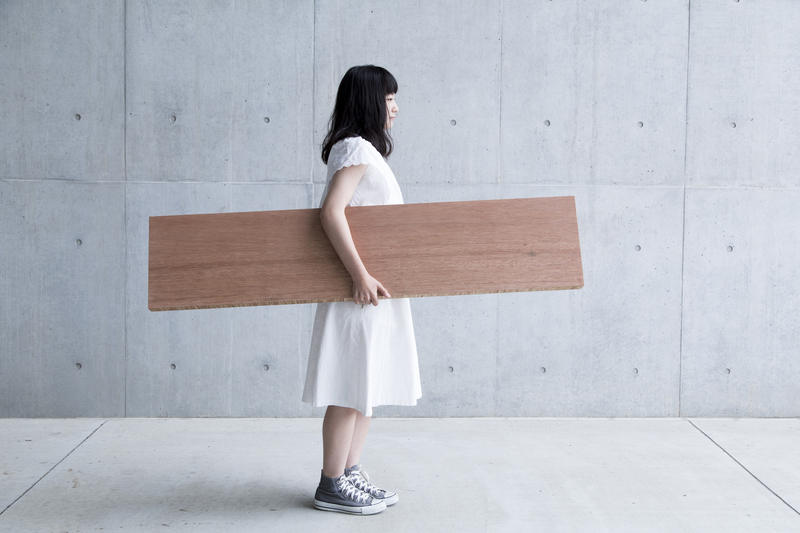 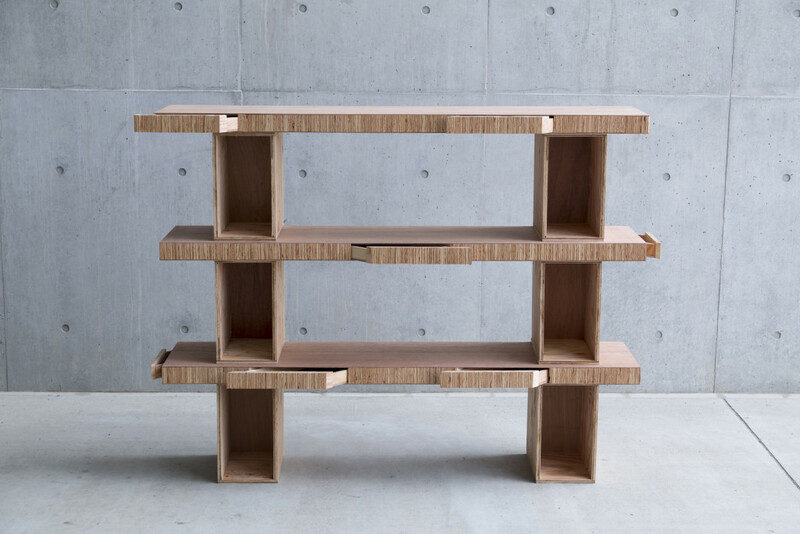 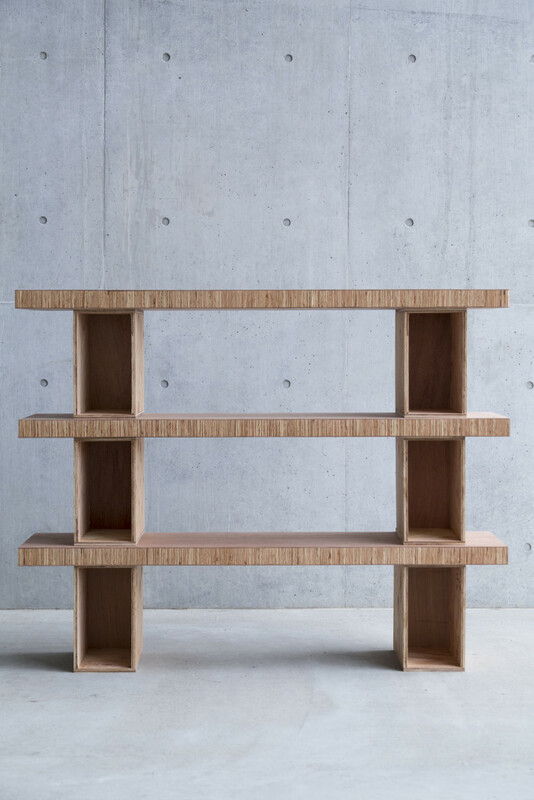 A piece of structural plywood furniture for an individual house. 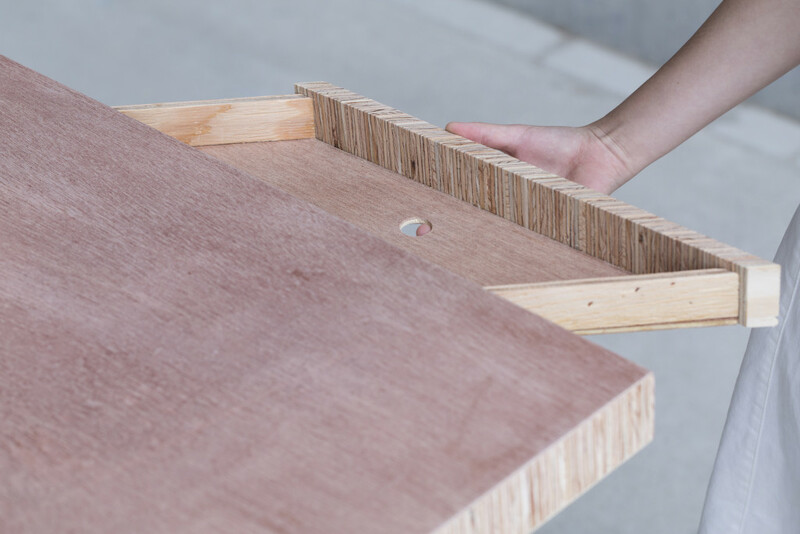 The main objectives of the project are to create pieces that respond to the architectural context, and to divert an inexpensive building material to a higher use. 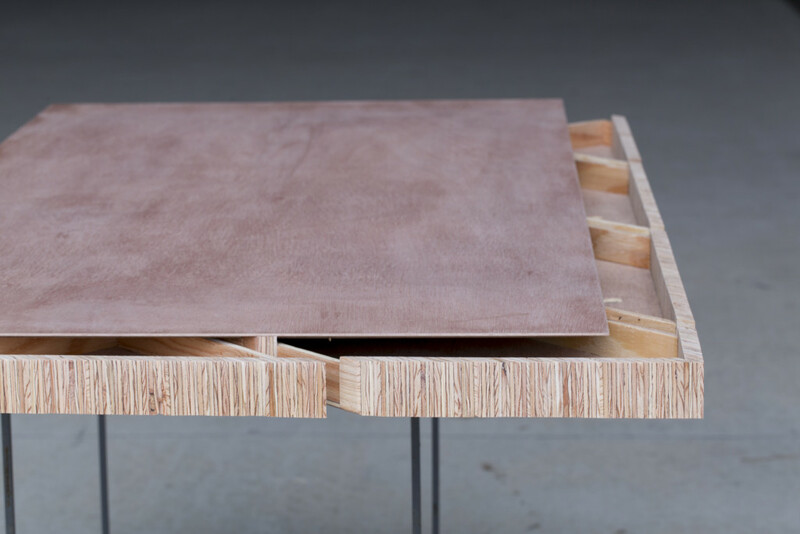 We believe a piece that considers context and the diversion of material is more of an architectural proposal than furniture design. 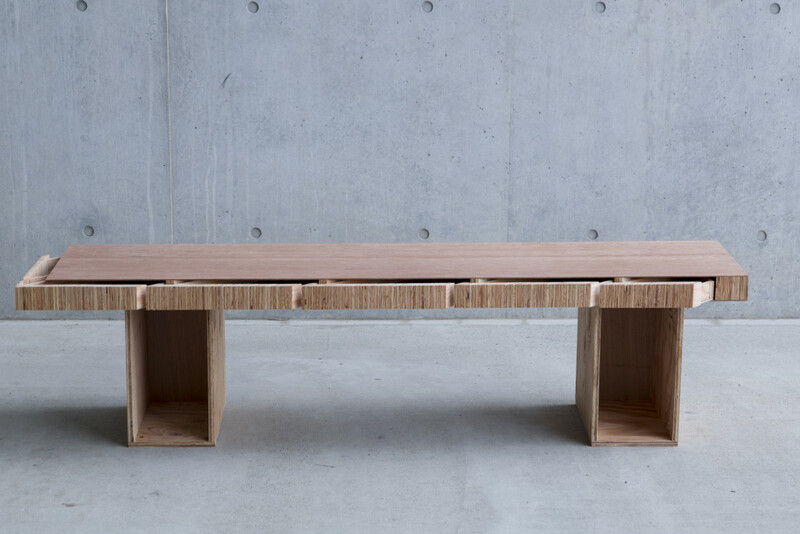 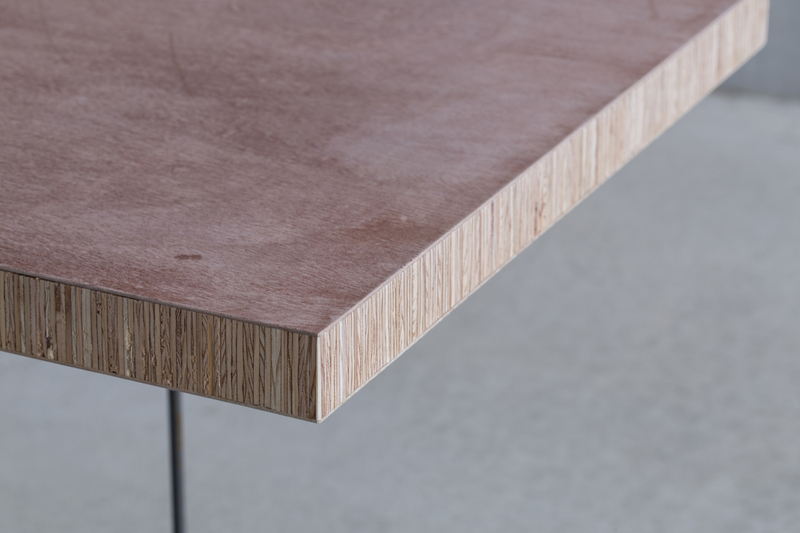 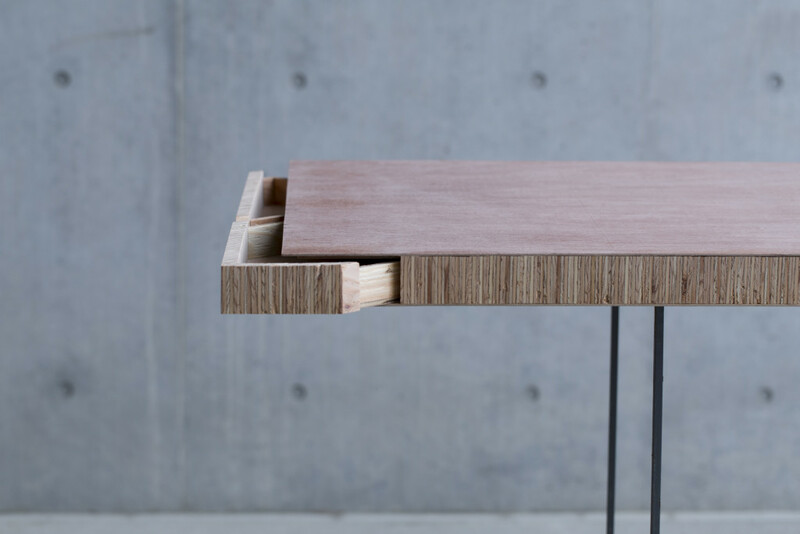 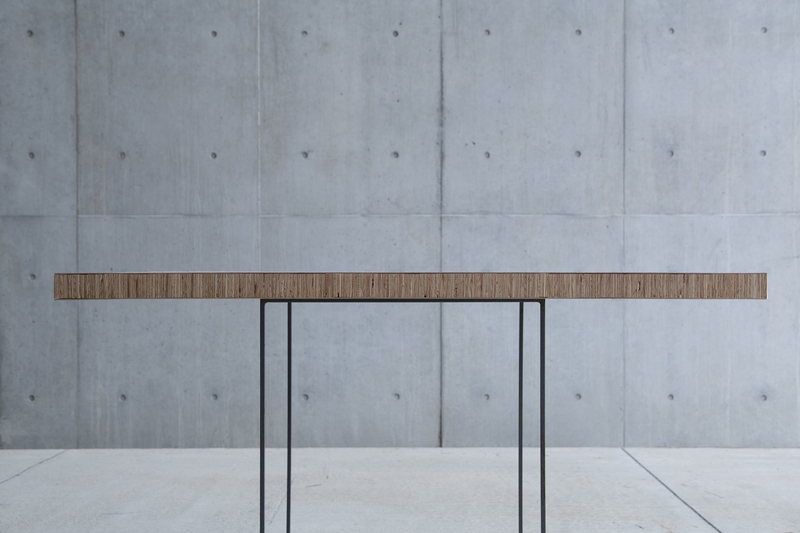 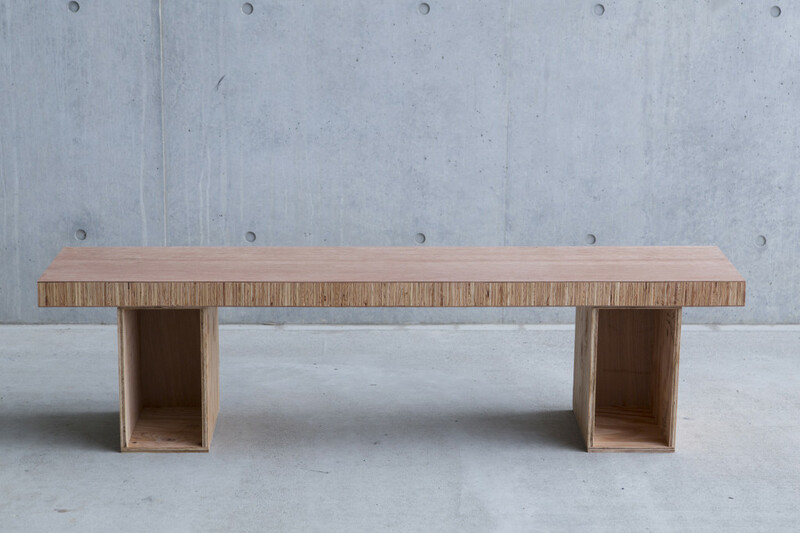 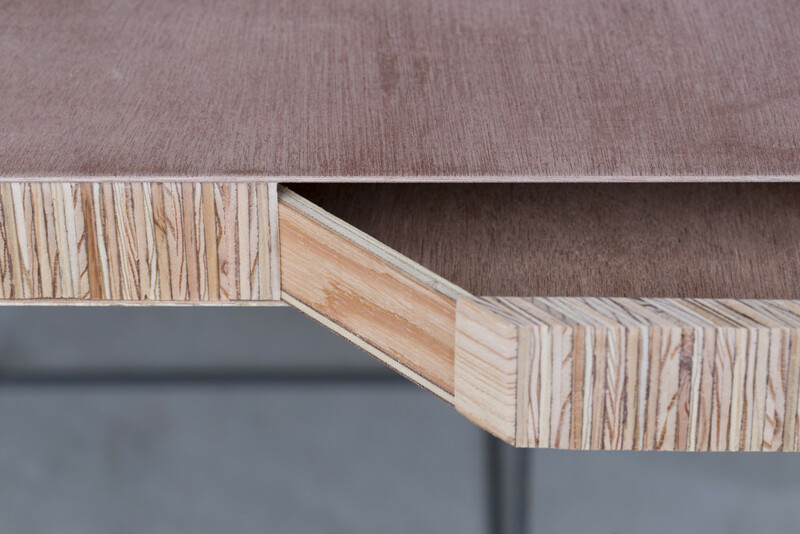 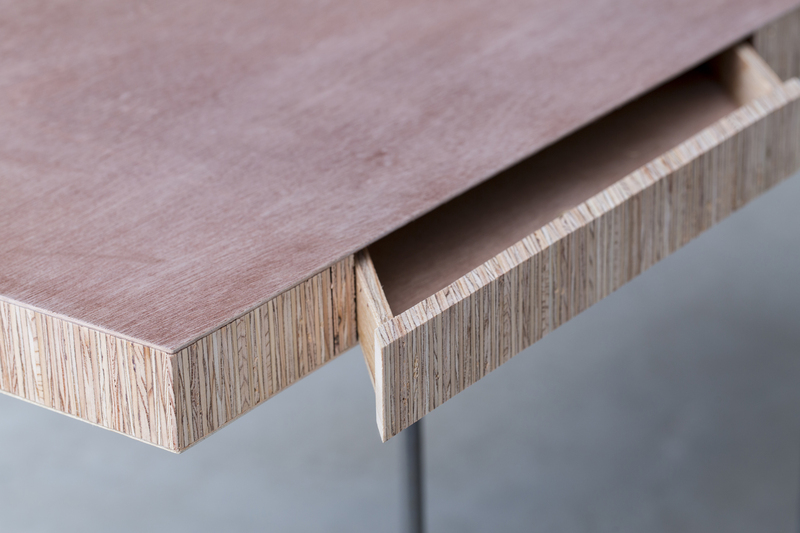 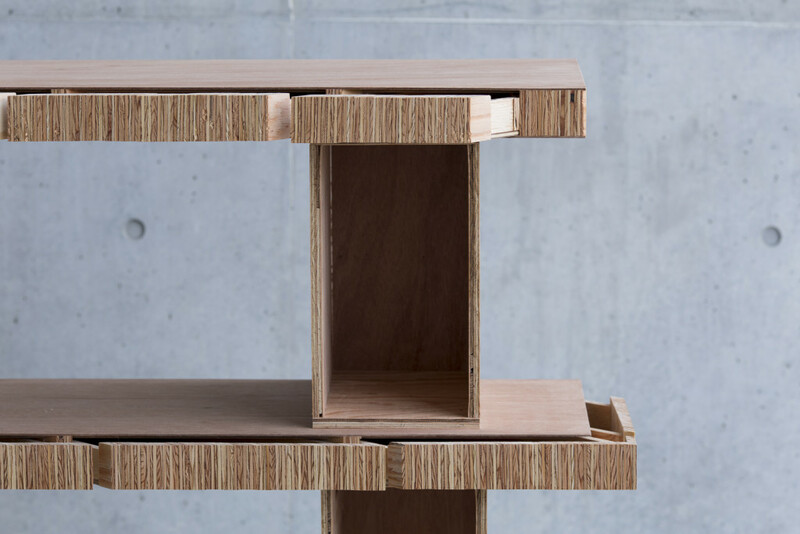 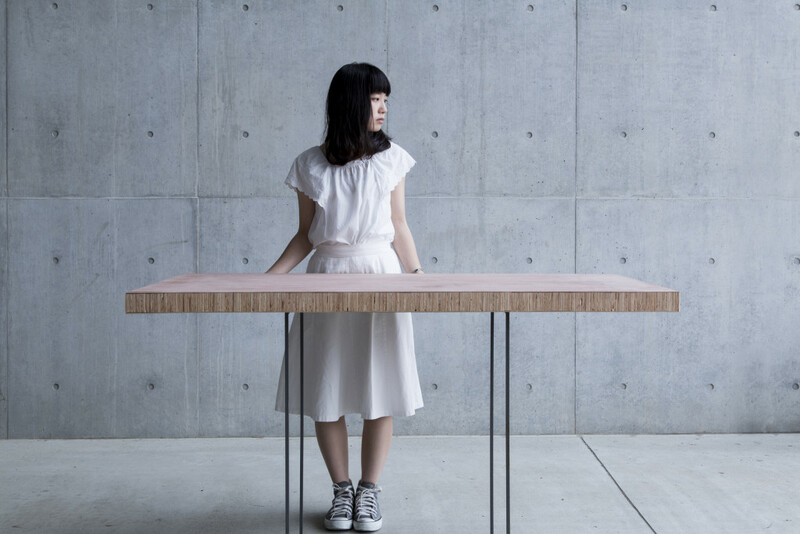 In elevation, the table is composed of a series of cross sectional surfaces of the strips of structural plywood. 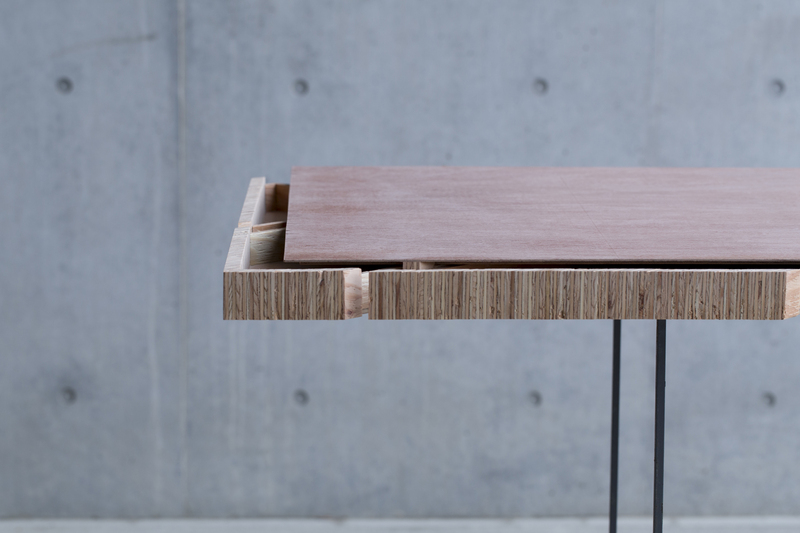 Use of this plywood is not only for making a characteristic elevation. 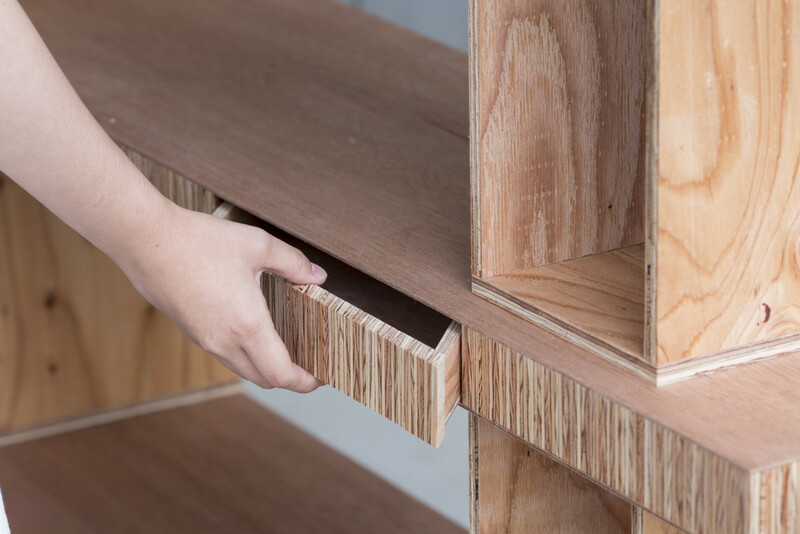 By setting it at 45 degrees, the entire surface can be used for storage whilst hiding the seams between the individual drawers. 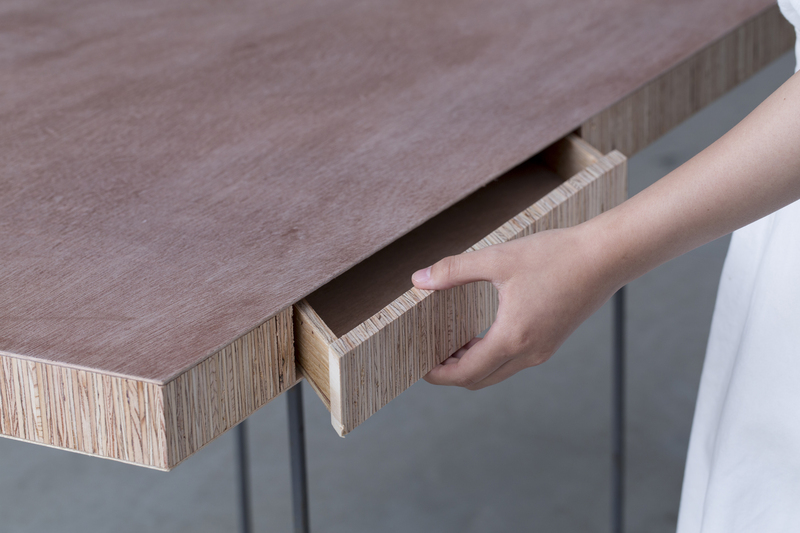 To give a lightness of presence, 2.5mm top and bottom plate are used. 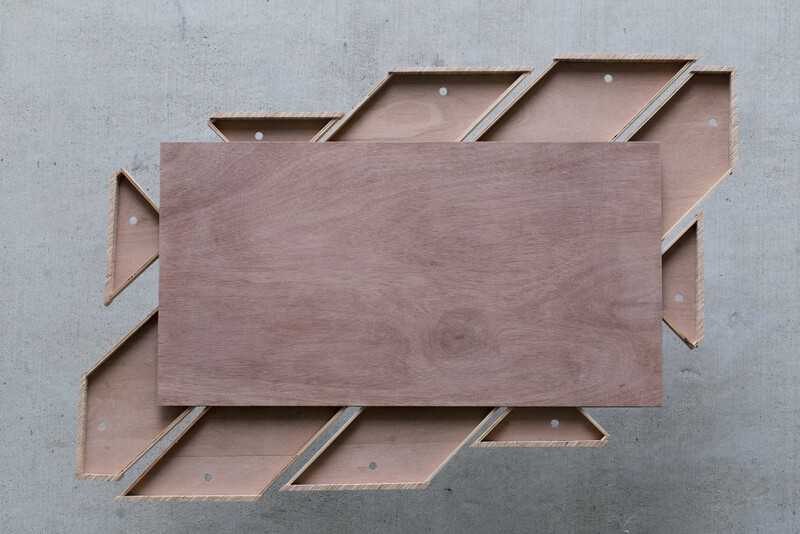 This also emphasises the plywood cross section and provides a slim elevation. 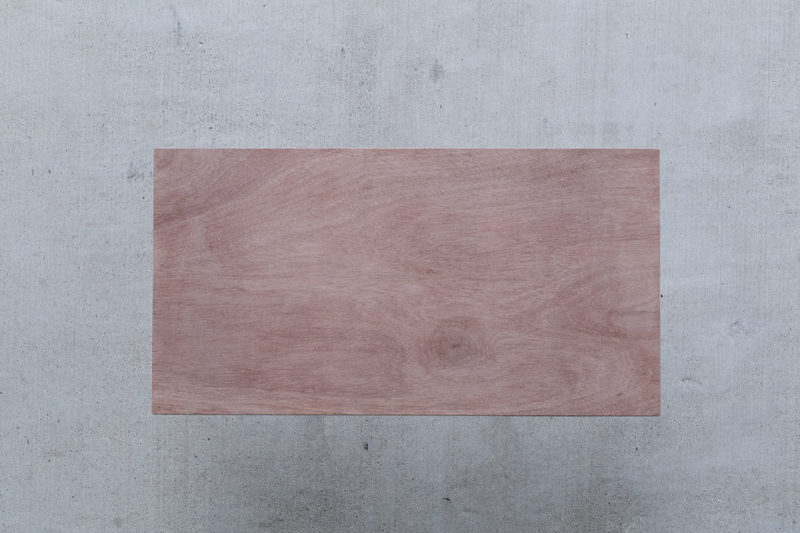 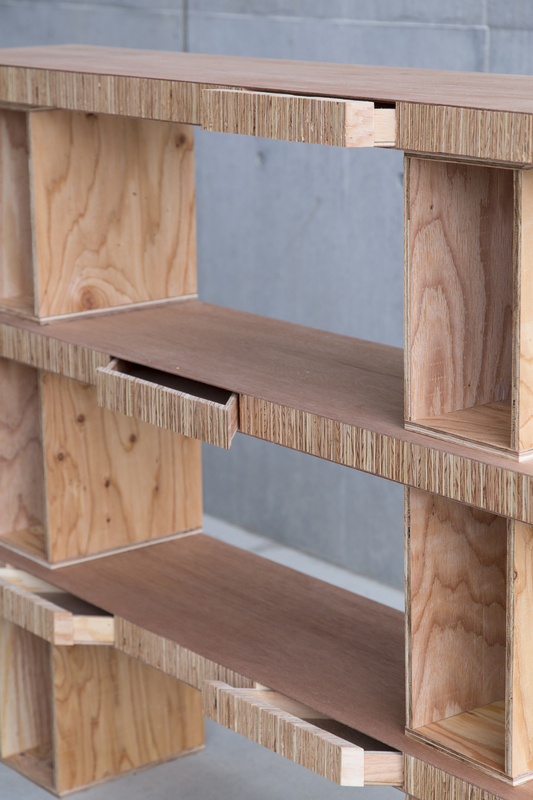 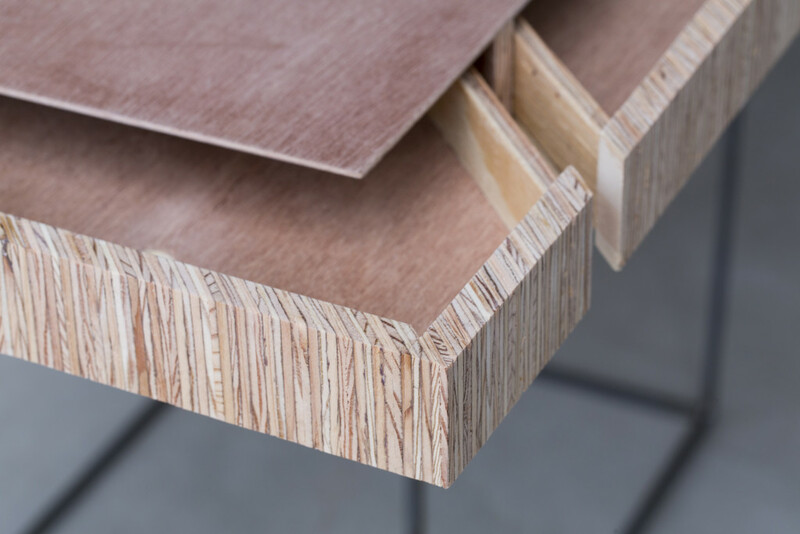 Although plywood is often used as a base for conventional building, by repeating this small step it is possible to create a new look for the material. 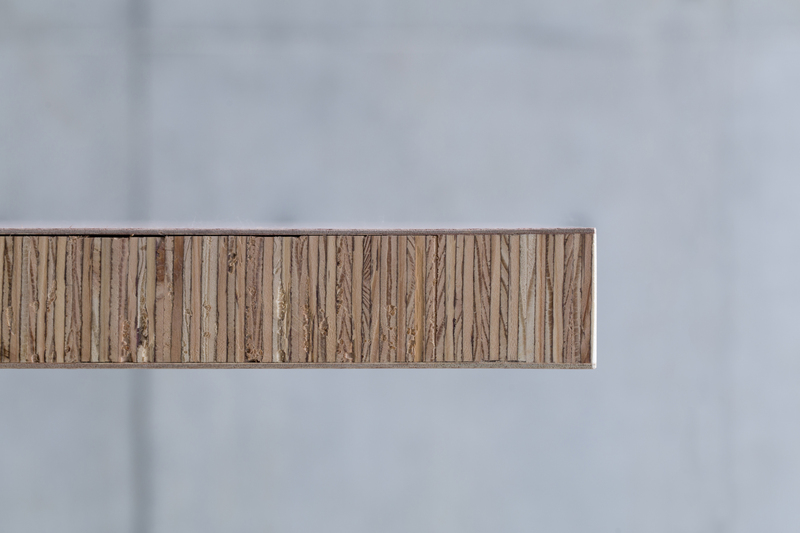 This technique is a repeatable process which could be manufactured at larger scales, or even by those who are not familiar with the method.